← #SPOTLIGHT~”The Witch of Bourbon Street” by Suzanne Palmieri is available NOW! 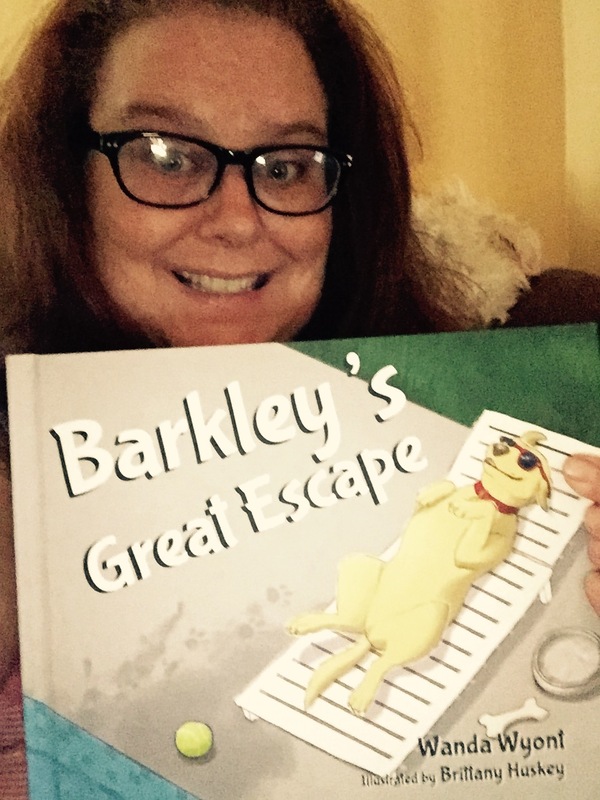 #GIVEAWAY ~ Interview with Wanda Wyont, author of “Barkley’s Great Escape”! COMMENT BELOW TO BE ENTERED INTO THE GIVEAWAY! When did you know you wanted to write a children’s book? Annie, I have always been a storyteller. From the time I was a young girl, I wrote short stories. I use to say that I wanted to be an author. But with the demands of family and career, my dreams got put on the back burner. As a former college instructor, I taught Children’s Literature many times. During a class, I mentioned my own dreams of becoming a published author. One of my students challenged me to get my story published. I took her advice. A short time later my first book, Sunbeam, became a reality and it helped me get my second book published. I knew that I needed to write Barkley’s Great Escape, after my daughter’s dog got into a neighbor’s swimming pool and nearly drowned. (The book is based on a true story). As a former early childhood instructor, I was aware of the high numbers of drownings among children. While I think the book is fun and entertaining, the message of water safety is not lost on the reader. For many young pre-readers, an adult will be reading the book. Hopefully, parents and teachers will use Barkley’s Great Escape as a tool to expand conversations about water safety. I shared the book recently with a group from the YMCA. The director told me that the story was right on target. It pleased me to hear that. Are you planning any other books? Yes. I have my third manuscript written. It is about several animals with special needs. 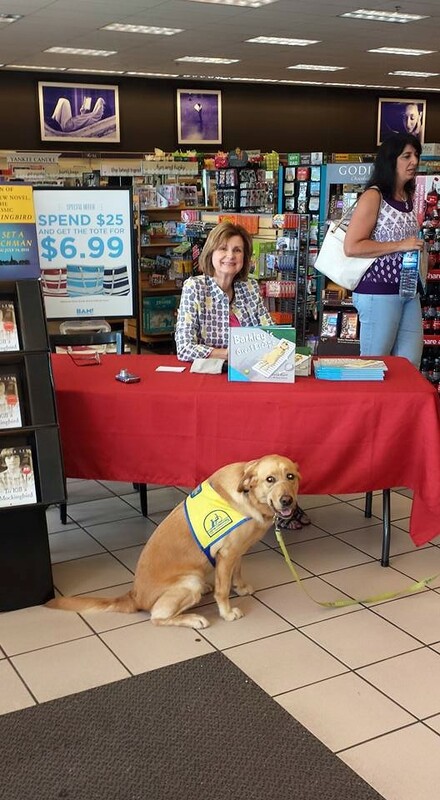 As they adjust to their handicap, they discover rewarding jobs for their lives. The message in this book is for all children to recognize that a special need should not limit them from their goals. I will submit the manuscript after my publicity period has slowed down for Barkley’s Great Escape. In addition to book signings, I am currently visiting libraries, colleges, schools, and child care centers. I have a presentation on the writing process that I share with elementary schools. I hope that all of my books have multiple lessons including safety. But, my third book will focus more on overcoming hardships. It is a positive story that I think children, parents, and teachers will like. One commonality of all of my books is that the leading characters are animals. I love animals and I think we can learn from them. Also, children identify with animals. They are uninhibited around animals. Recently, I was sharing Barkley’s Great Escape, at an elementary school. A second grader jumped up and announced that he had kissed his dog on the nose, too. I loved his spontaneity and the fact that he related to one of the characters. What is your favorite children’s book, other than the one you wrote? I love many children’s book. For young children, I like to read Mother Goose books. The rhyming words build phonetic skills. ABC books are important for young readers as long as the objects make sense. In other words, I like to see a picture of a rabbit to represent the letter “R” instead of using a picture of a rabbit to represent an “H” for hare. An adult should examine the ABC closely to make sure that the pictures coincide with the letter. One of my favorite books is Miss Fannie’s Hats by Jan Karon. It is a great book and one that I love to share with a large group of children. It has a spiritual lesson about giving. I collect hats and this book provides a perfect opportunity for me to use my collection of hats. I take hats on and off throughout the story. This story gets the audience engaged! Were you inspired by anything in particular? In the case of Barkley’s Great Escape, I was inspired by Barkley to write about his experience. I felt compelled to write about water safety. I was hopeful that the adult readers would be reminded to keep gates locked and to be vigilant about other bodies of water. I use the opportunity to talk with groups of children about being safe around water. After retiring from my position at Gaston College, I knew that I had the time to pursue my love of writing. My biggest inspiration was my grandfather. He lived to be 107 years old. He was driving his tractor and planting a garden at age 100. He visited the nursing homes in his area and shared stories. It never occurred to him that he was probably older than the residents. At age 65, I now have the time to write. I am inspired everyday by animals and people. I hope that I’m writing at 85. How long did it take to write this story? From the time I began writing until I was ready to send a proposal to the publisher, it took around three months. I write stories without regard to grammar or punctuation. After I get my thoughts down, I began the arduous task of cleaning-up and editing my writing. Once the manuscript meets my approval, it is time to share it with others. I like for others to read it for word flow and to begin looking for any errors. I read it to groups of children. I share it with librarians for their opinions. I make adjustments during this time based on other’s feedback. One of the last individuals that looked over the story was a college English Instructor. She went through it looking for any errors.. There were some suggestions that I did not heed. For example, I have a few challenging words in my book. Several manuscript readers mentioned replacing the words with easier text. But, I don’t agree with the view. It is important for children to stretch their vocabulary. I would expect the adult reader to point out the words and clarify the meaning. As I read the story, I stop and say what you suppose the word “miffed” means? The children usually answer me correctly. With my laptop, I can be mobile. It is a luxury knowing you can work anywhere. I do have an office that provides a quiet space. I wrote Barkley’s Great Escape at my desk. However, the manuscript that I am working on now has required some research. I’ve visited several equine therapy facilities. I asked questions and take some pictures. Friends have invited me to stay overnight at their equine ranch in their bunkhouse. Hopefully, I can capture the feel of the environment as I add the finishing touches to the story.